Our very own Andrew Haze and his family visited iHeartRadio New York and chatted with Elvis Duran and the Morning Show. Some videos and images in this article may be disturbing for some viewers. Tragedy strikes during a Las Vegas music festival Sunday night into Monday morning, as a gun man rained down in rapid-fire onto innocent lives for nearly four and a half minutes straight. 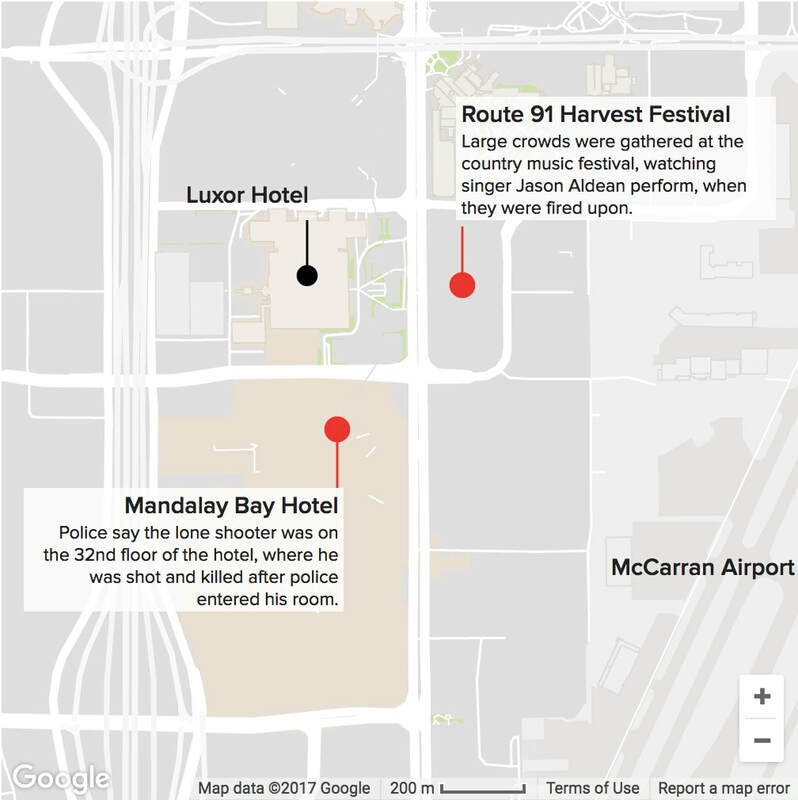 ​The shooting occurred during Jason Aldean's set at the Route 91 Harvest Festival outside the Mandalay Bay Resort and Casino. The music was halted with concert-goers yelling to "get down" and "stay down". As of right now, A100 Radio can report that over 58 people have lost their lives to the shooting, and over 515 people are wounded; making this the largest mass shooting in United States history. The shooting was first reported at 10:08pm Las Vegas time, then before midnight, police officers claimed "one suspect down". No more active gunmen were believed thereafter. Officials now confirm that the gunmen was "believed to have killed himself" prior to law enforcement entry to the hotel room. 10 rifles were found inside the room as well. Police have now identified the shooter as Las Vegas resident Stephen Paddock, 64. UPDATE (10am [CT]): Marilou Danley (his suspected companion) is no longer of interest to law enforcement. She was located out of the country, and officials "believe her not to be involved". "​LVMPD Sheriff Joseph Lombardo updating the press on the number of people injured in the Las Vegas shooting"
President of the United States, Donald Trump has been briefed on the shooting, and sends his condolences on Twitter. He calls the attack, an "act of pure evil". President Trump will visit Las Vegas on Wednesday, to visit with law enforcement and commemorate their rapid and effective work to prevent further loss of life. Police are now investigating the home of 64 year old Stephen Craig Paddock in Mesquite, Nevada to clear it of any possible explosives. A100 Radio will keep you updated with more information, as it becomes available.